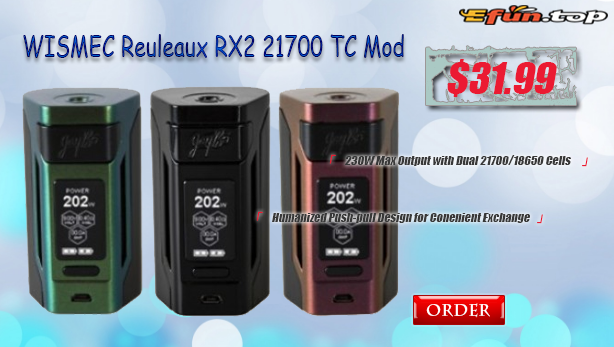 I know you remember Wismec Reuleaux RX2 21700 Kit, but this time, I want to share its mod for you, please pay attention to check it! WISMEC Reuleaux RX2 21700 mod is compatible with both 21700 and 18650 cells and it's a compact yet powerful vaping device with max 230W output power. With a 1.3-inch large screen, the RX2 20700 tc mod presents all parameters (including dual separate battery bars) in a more clear way.